Beautiful Palm Beach style home on the 3rd TEE of the Lake Worth Golf Course on the Intracoastal Waterway. No HOA!! Dade County Pine Floors,Dining/Living Room, high ceilings with elegant Palladian windows. 14 x 23 Master bedroom downstairs with Bath. Three Bedrooms, den, and wonderful 12X32 family rec room over looking Golf Course.New Stunning White Quartz Kitchen Sliding doors open to enjoy outdoor dining on your covered patio with tropical breezes. 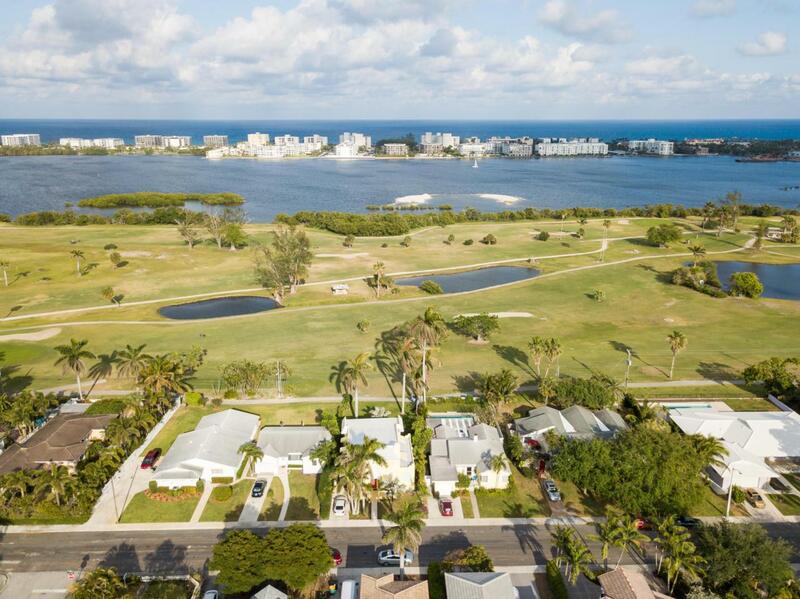 Enjoy the Public Golf Course w/restaurant ,Downtown Theater, Cinema, Art Galleries, Cafes and beautiful beach just minutes away. Two marinas for your boating convienience. Listing provided courtesy of Century 21 America's Choice/Palm Beach.